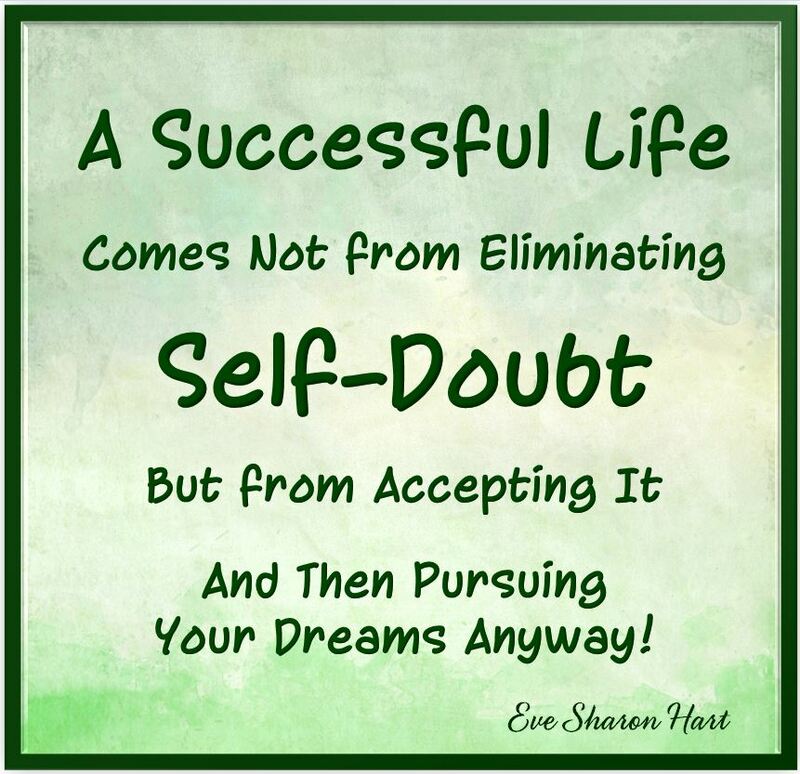 Every once in a while, I fall into a ton of self-doubt. I begin to reconsider EVERYTHING. Am I going about building my Eating Psychology Coaching practice the right way? Am I doing enough to raise awareness of Binge-Eating Disorder and Obesity? Am I living in the correct geographic area to live my life to the fullest? Do I have enough money to make my dreams come true? Are my relationships on track? Am I good enough? I used to let these thoughts completely derail me so I binged about them. It took a long time to realize that some of the thoughts are caused by raging hormones that amplify my fears. Even though I was aware of this, it was hard to remember that these thoughts and feelings are a normal part of my cyclical mental behavior. This took me a while to learn but I now know why I suddenly question everything. Knowledge is power so I’m able to allow the feelings, experience them, think through my decisions and get back on track much easier without bingeing. For me, the key to dealing with the turbulence is getting in touch with my body, mind and soul so I can connect what is happening with each. In the past, I was just looking at each in a vacuum which leaves an incomplete person! Now, I relate them and look at myself as a whole which clues me in to what is happening physiologically, mentally and heartfully (is that a word? it is now!). I still experience the turbulent emotions and thoughts but I can weather the storm better and I can’t ask for anything more than that!